Free-ranging nightingales should be captured for animal experimentation! The animal welfare associations of the Federal Government, Berlin and Brandenburg are sounding the alarm. It’s about three nightingales and about the principle. An animal experiment with nightingales, initially rejected by the Brandenburg authorities, has now been approved. For the experiment, three male nightingales who live free in the nature are to be captured. According to the German Animal Protection Association, these are said to bear offspring in the laboratory with three captive-bred females, which will then be used for animal experiments. The prehistory: The Behavioral Biologist Dr. Daniela Vallentin is planning an animal experiment in which nightingales will be drilled out of the skull to implant probes into their brains. At the end of the experiment, the animals are killed. The biologist is interested in the neural principles of vocal communication of birds. She hopes to gain insight into human autism from the results of the experiment. For this there should be subsidies from the EU amounting to 1.5 million euros. The Animal Welfare Association for Berlin (TVB), the German Animal Welfare Association and its regional association Brandenburg strictly reject such animal experiments. The animal rights activists make it clear that the transferability of the findings of nightingale songs to a complex neurological developmental disorder such as autism is highly questionable. 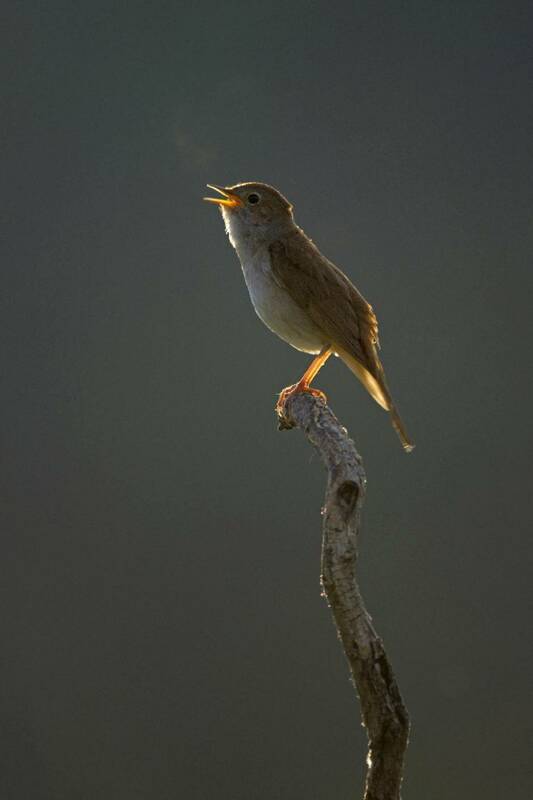 “We urge the state of Brandenburg to withdraw the permission to catch the nightingales. Wild animals, including their offspring, should not be used for animal experiments”. The Brandenburg State Environmental Agency responded differently. It granted permission to capture three male nightingales in this country, presumably in Potsdam city. A spokesman for the agency emphasized that nightingales with 25,000 breeding pairs are not on the list of endangered animals. Their stocks even increase year by year by two percent. In addition, they have made it to the condition that the animals are released in time for the winter train back to freedom. The offspring is then scheduled for the experiments. Ellen Schütze, leader of the animal welfare association of Brandenburg, is outraged. What is being planned at the Free University is pure basic research in her eyes. Or as she puts it: “It’s all about scientific curiosity.” Animal experiments could not be justified. She submits to the scientist that the reference to human diseases primarily serves to justify the application. For medical research, there are other possibilities beyond animal testing. Schütze and her fellow campaigners are annoyed, that different standards are being measured across the border. According to the motto: If something is not allowed in Berlin, you just go to Brandenburg and thus circumvent the conditions. Therefore, they call for uniform nationwide regulations on animal testing. The Free University had no comments on Wednesday. Comment: And we thought we had seen everything!! Our sadistic conspecifics make it possible to shock us, to disguast us, to be ashamed of the moral decay of our species. Murderous hands off the birds!!!! !